Mumbai, August 01, 2018 (Team Online News India): Taapsee Pannu is well-known for taking up inspiring and compelling roles in her movies. 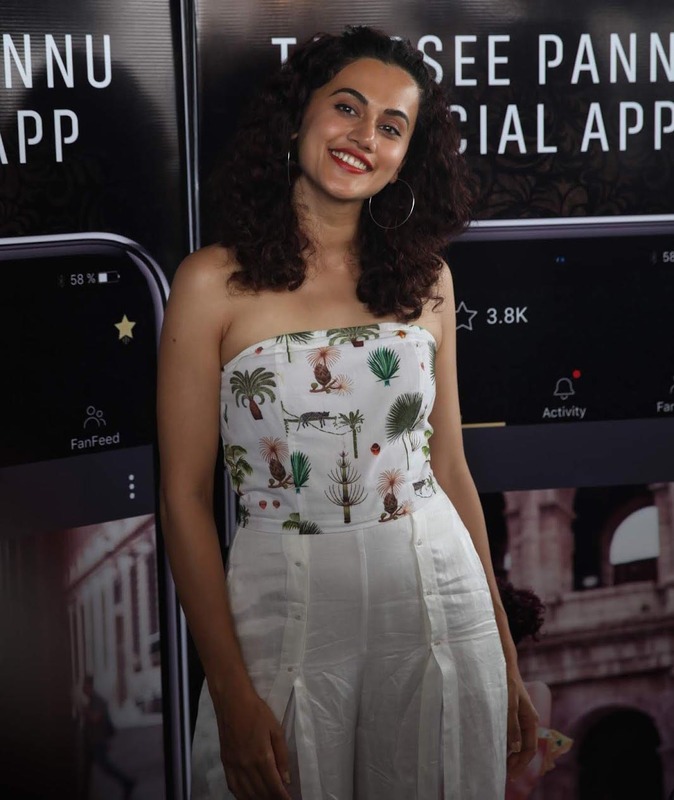 On her birthday this year Taapsee is all set to give her fans a unique gift with the launch of her own personal app named, “Taapsee Pannu official App.” On her official app, the Mulk actress, will personally interact with her millions of fans. The fans will get a sneak peek into the glamorous yet real life of Taapsee and get to see the various sides of Taapsee with first hand content coming up straight from the actress. The app will be hosted with regularly published never seen before videos and photos of various parts of Taapsee’s life including her on sets peek-a-boo of her upcoming films, her travel expeditions, her daily life and loves for various things and a lot more of exciting and fascinating content. Empowered by the freedom of her own platform, her fans will get to see unfiltered and the real Taapsee Pannu and will also get to interact with her through this app unlike other social media platforms on a regular basis.